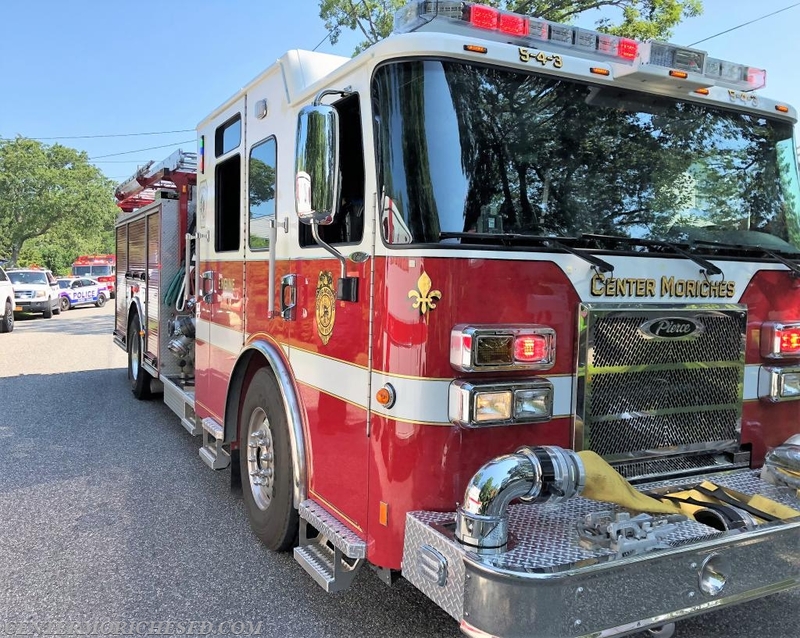 At 10:22am Center Moriches Firefighters and EMT’s were requested to an auto accident with injuries on Hewitt Blvd off Holiday Boulevard. Emergency personnel arrived to find a vehicle on its roof in the middle of the road. The driver of the vehicle who climbed out on his own was sitting on the side of the road. 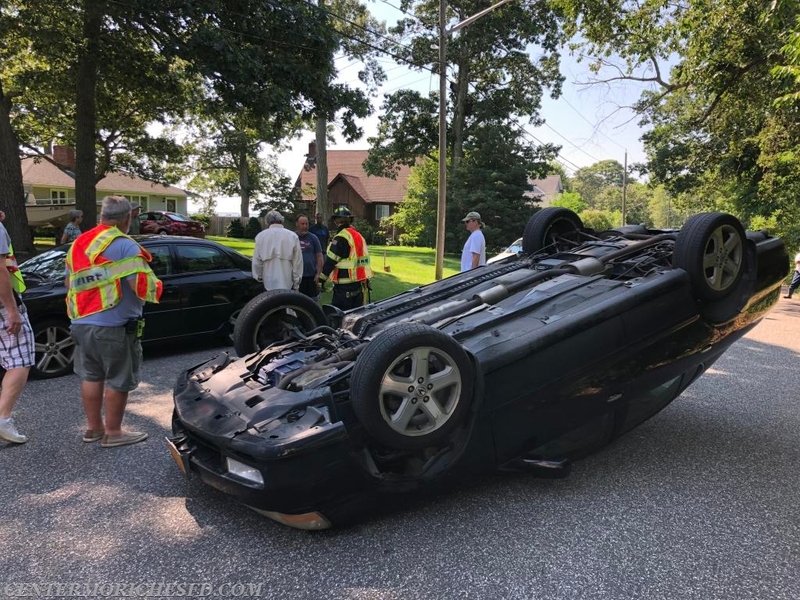 Firefighters secured the overturned vehicle while EMS treated the occupant and transported him to a local hospital for further evaluation of non-life threatening injuries.